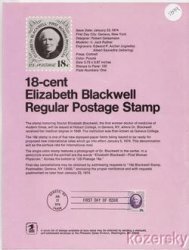 U.S. 1399, Elizabeth Blackwell 18-cent Stamp, USPS Official Souvenir Page. 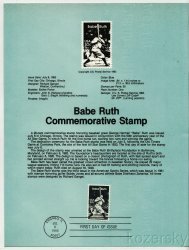 First Day of Issue Jan. 23, 1974, Geneva, NY 14456. Never folded, shipped flat. 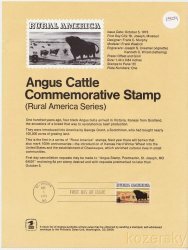 U.S. 1504, Angus Cattle Commerative Stamp USPS Official Souvenir Page. First Day of Issue Oct 5, 1973, St. Joseph, MO. Never folded, shipped flat. 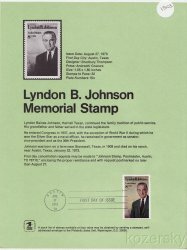 U.S. 1503, Lyndon B. Johnson Memorial Stamp USPS Official Souvenir Page. First Day of Issue Aug. 27, 1973, Austin, TX. Never folded, shipped flat. 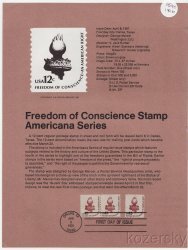 U.S. 1594, 1816, Freedom of Condcience Stamp, Americana Series Stamp USPS Official Souvenir Page. First Day of Issue Apr. 8, 1981, Dallas, TX 75260. 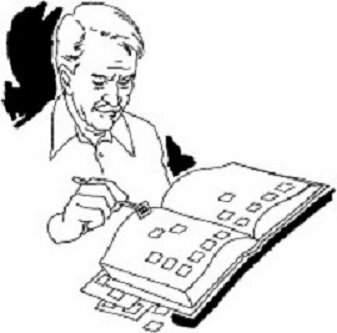 Never folded, shipped flat.